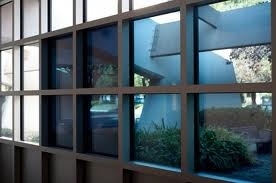 Soladigm, the Milpitas, Calif.-based startup with windows that change color and tint to save energy in big buildings, has raised a $55 million Series D round, bringing its total VC haul to $125 million. The round was co-led by Reinet Investments and NanoDimension, and included previous investors DBL Investors, GE, Khosla Ventures, Navitas Capital, Sigma Partners, and The Westly Group. It’s a lot of money, but then, building factories to churn out self-shading glass is an expensive proposition. Soladigm, which also raised $4.5 million in debt last month, has a manufacturing facility in Olive Branch, Miss. that cost about $130 million to build. Soladigm is also partnering with glass giant Guardian Industries, which is carrying Soladigm electrochromics in its portfolio. These kinds of partnerships will be important, as one of its rivals, Sage Electrochromics, was acquired by French glass giant Saint-Gobain for an undisclosed sum in May. Saint-Gobain also put $80 million into Sage in 2010, on top of a $16 million round in 2007 from Good Energies, Applied Ventures, NV Bekaert, and Bekaert Corp.
Electrochromic glass changes color or opacity under different electrical conditions, allowing you to darken windows to block hot afternoon glare, make them clear to let in warming winter sun, and other such energy-saving features. Subtle differences in technology include glass that shades, versus glass that reflects, or glass that responds to temperature as well as light sensors. Some glass can change automatically, while others can be centrally controlled -- or both. Done right, these windows can cut energy use by 25 percent to 30 percent, Soladigm claims. Sage CEO John Van Dine said in a May interview that proper window tinting can cut lighting costs by 60 percent and cooling costs by 25 percent. The problem with electrochromic windows is the cost. While Soladigm and Sage don’t disclose manufacturing costs, it’s expected that they cost more per square foot than the 'dumb' windows they would replace. It’s also unclear how long it takes for the energy savings they create to cover those extra costs -- especially when they’re part of an overall efficiency overhaul that brings other variables into play. Van Dine said that new building regulations in markets like California, as well as new LEED rules for daylighting, should help grow the market for smart shading windows. Soladigm said it would invest the money in commercialization and global business growth. The startup, founded in 2007, has roots in technology from Lawrence Berkeley National Laboratory. Follow us! Let us know how we are doing!